Volkswagen, the German automobile major is riding high on the success of its premium sedan Volkswagen Vento. This is perhaps the one of the most elegant sedan in the market and is available in both petrol and diesel engine options. Currently, there are three diesel variants available in the model series out of which, the Volkswagen Vento Diesel Comfortline trim is the mid range variant. This particular trim has been assembled with a powerful 1.6-litre diesel power plant that can produce a displacement capacity of about 1598cc. The company claims that the vehicle can generate best in class mileage figures of about 20.54 Kmpl, which is impressive for a vehicle of such stature. 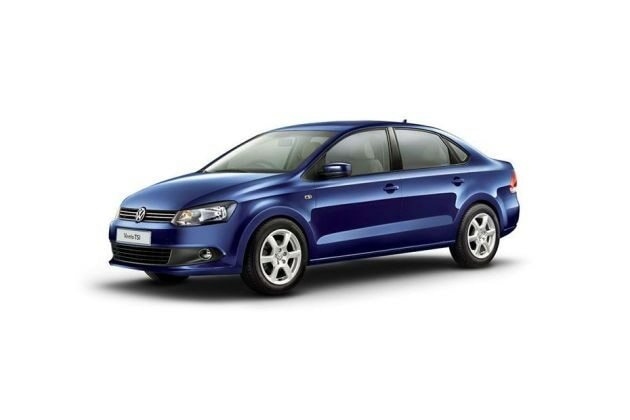 Volkswagen Vento is one of the most stylish vehicles in the automobile segment and its great body design with close finishing makes it look alluring. One of the most impressive aspects about this particular vehicle is its eye-catching body design that has stolen the hearts of many auto enthusiasts. This vehicle is stylish from outside and luxurious from the inside as the company has designed a rich looking interior cabin by using scratch-resistance plastic. This particular mid range trim comes with some of the finest features including an electronic power steering system, a stylish instrument cluster, air conditioning unit and lots more. Even the safety aspects of this particular variant are top class that pays complete value for money. The style and appearance of the Volkswagen Vento Diesel Comfortline trim is quite fascinating in comparison with any other sedan of its class. This particular sedan model has a distinct body design with aggressive exterior cosmetics that makes it look alluring. Both the front and rear profiles of this vehicle looks very aggressive and sportier , which will certainly turn heads on the go. The headlight cluster on the front profile is very sleek and aggressive and it comes with a smoked sort of design. This headlight cluster surrounds the chrome radiator grille, which is decorated with a prominent company logo. Just below this grille there is a body colored bumper that comes fitted with a wide air dam and fog lights, which will improve the visibility ahead, while increasing the air intake. The wheel arches on the side profile have been molded pretty well and have been fitted with 14-inch steel wheels, which are further covered with full wheel covers. The window sill have been garnished in black, while the ORVMs and door handles have been painted in body color. Coming to the rear profile, the body colored bumper has a plain design, while the boot lid has a very expressive design. The taillight cluster is very stylish and it adds more style to the rear. The chrome plated company badging on the boot lid completes the overall look of this sedan. One should step inside the vehicle to experience the lavish comforts and conveniences offered by this vehicle. The interior cabin is absolutely plush and spacious that will never let the occupants to face any sort of discomforts. The company has used high quality scratch-resistance plastic material for obtaining a rich finish inside the cabin. The German automaker has fitted very comfortable seats inside the cabin and covered them with premium fabric upholstery. The dashboard in the front cabin is very stylish and it comes fitted with some of the sophisticated equipments like a music system, AC and other control switches. The steering wheel is also very stylish, which is decorated with chrome garnished company logo. This steering wheel also comes with tilt as well as telescopic functions. You can also find some of the noticeable features inside the cabin such as trunk illumination, ashtray, bottle holder, cup holder, front center armrest , AC unit, music system and many other exciting features. The Volkswagen Vento Diesel Comfortline mid range trim comes equipped with a powerful 1.6-litre, DOHC based diesel motor that has 4-inline cylinders and 16 valves. This engine can produce 1598cc displacement capacity, which will unleash it to produce a peak power output of about 103.56bhp at 4400rpm, while generating a peak torque power of about 250Nm at 1500 to 2500rpm. The German automaker has skillfully fitted this particular diesel engine with a 5-speed manual transmission gearbox that allows the front wheels to draw the engine power and return a class leading mileage. According to the company, this vehicle can return 20.5 Kmpl of peak mileage, which is rather good. On the other hand, this vehicle can obtain a top speed of about 185 Kmph, which is remarkable. The company is offering this particular model trim with top class braking and handling aspects that allows the driver to gain full control. The front wheels of this sedan have been fitted with disc brakes and the rear wheels are assembled with drum brakes. The company also designed a robust suspension system for this vehicle to enhance its stability. The front axle of this sedan has been fitted with McPherson Strut suspension system and it is loaded with stabilizer bars. Meanwhile, the rear axle has been assembled with a robust Semi-independent trailing arm type of suspension system . The handling aspects of this vehicle has been improved by the company by fitted it with a sophisticated speed related electronic power steering system. The Volkswagen Vento Diesel Comfortline is the mid range variant and it has been offered with wide range of comfort features. The company has fitted this particular trim with a list of features such as an air conditioning system with rear AC vents, dust and pollen filter, gear shift indicator, driver's seat height adjustment, speed related electronic power steering, front and rear power windows, vanity mirror in left side sun blind, electric trunk opening, and various other such exciting features. Also the company has blessed this particular mid range variant with rear parking sensor, a 2-DIN audio player with RCD 220 music system , 4-speakers, AUX-In, USB and SD Card Slot. Apart from all these there are power windows that comes with comfort operation with auto up and down function and so on. The company has equipped some of the standard protective functions to this mid range trim. The list of those safety aspects include a remote central locking system, high mounted third brake light, 3-point front seat belts, front and rear fog lights, day/night interior rear view mirror, pinch guard safety for all 4 power windows, and an electronic engine immobilizer with floating code that keeps the vehicle safe from unauthorized persons. Pros: Trendy body style, impressive comfort features. Cons: Price tag is expensive, protective aspects needs to improve.